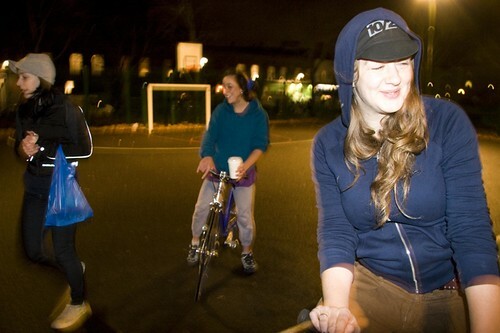 Trixie Chix is a group of women who meet up to learn how to do (mostly) pointless tricks on their bike. We also like bike polo and having a drink or two. While we love the lovely men who encourage and support us, they are not invited to our gatherings. 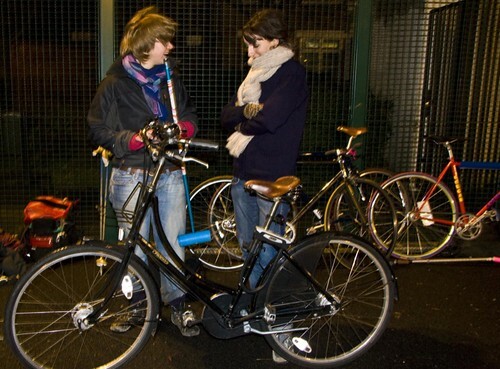 Trixie Chix would like to create an atmosphere of comfort for women to gain security and self-awareness on your bike. We are primarily a fixed-gear riding crew but all are warmly welcomed!